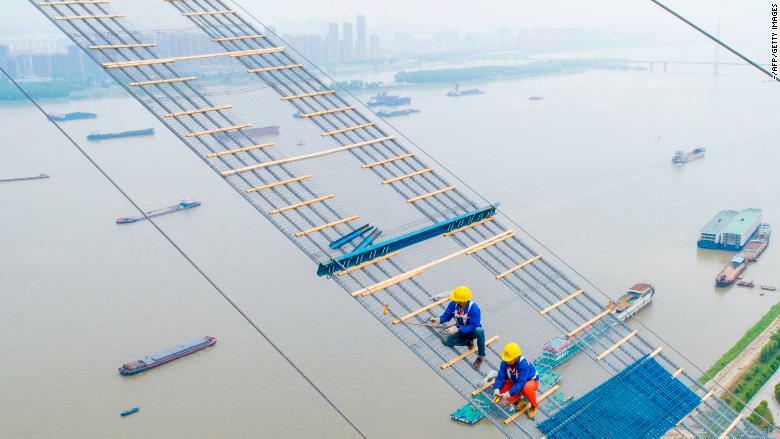 Laborers work on a suspension bridge crossing the Yangtze River in Wuhan, China's Hubei province, on May 8. 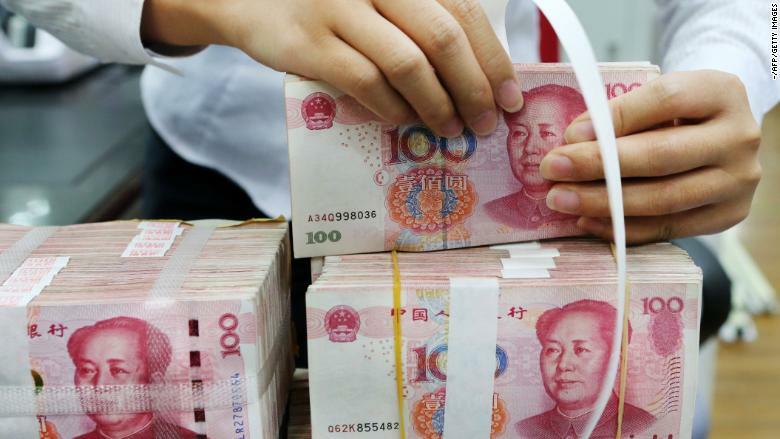 An employee packages 100-yuan notes at a bank in Nantong, China's eastern Jiangsu province, on July 23. 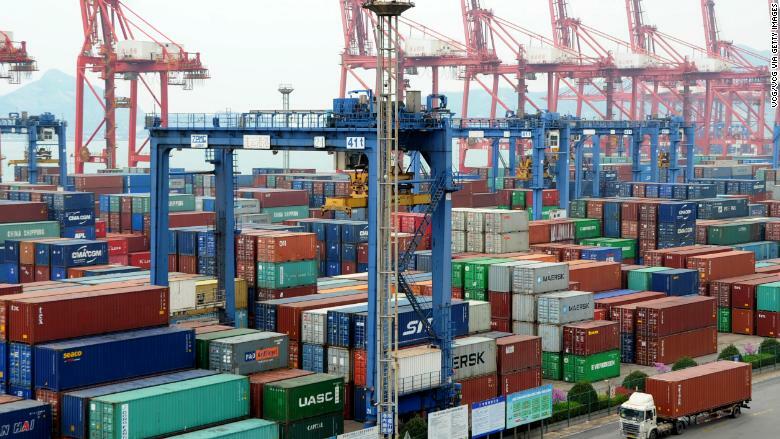 A truck moves a shipping container at Lianyungang Port on April 5 in Lianyungang, China.